I write to share some thoughts about my husband, Ravi. There is the Ravi that I know and the Ravi known in the public square. I'd like to let you know about both. When we first met at a small coffee shop in London in 2003, Ravi was a young, single professional living in Hoboken and I was living in London practicing human rights law. I was moved by his kindness, intelligence, and charm. But there was something more. What truly connected me to Ravi was our shared passion for social justice and civil rights. We were a young couple and began our journey together in Hoboken after we got married. When my work with the International Rescue Committee required me to temporarily live in Sudan, Africa, Ravi supported my career and took care of our daughter, Arza with his parents while managing his own career. Ravi has always been there for me, and has been a dedicated husband and caring father. Before I met Ravi, he earned his BA at the University of California, Berkeley, a Masters from the London School of Economics and a law degree from Tulane. He then moved to Hoboken in 2000 and was soon featured in the New York Times for his civil rights work. Recently, Ravi volunteered at Newark Liberty Airport to offer pro bono legal services for those caught in limbo when the federal government introduced travel restrictions. Throughout his career, Ravi has always stood up for what he believed to be right and took action. In many ways, life is about choices, and we were confronted with one in 2008. When our municipal taxes went up 70% in one year, Ravi told me he wanted to run for City Council and make a difference. I encouraged him to do so because this reflected our partnership and common vision. Together, we knocked on countless doors with our children and entire family in support of the local reform movement. We are a close, warm family (we live next door to Ravi's brother Amar, his wife and children) and we do things together. We make this a “family affair” because we want to instill the civic value of community engagement in our kids. 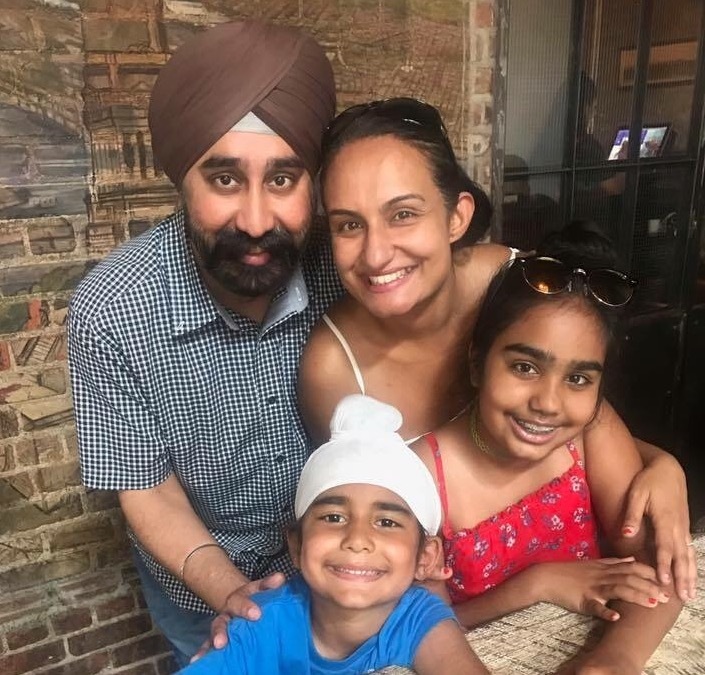 Like you, Ravi and I love Hoboken and the real sense of community we feel living here. As a Councilman in Hoboken, Ravi has gone beyond the call of duty to do his part to help local residents in need. When a resident spoke at a council meeting about how she and her three children were about to be forcibly displaced from their affordable housing unit, Ravi took it upon himself to provide free legal assistance to her and successfully fought against her eviction. What I admire most about Ravi is his honesty and passion to serve the interests of our community. He is not afraid to stand up and show leadership in times of crisis. He is a staunch advocate of good government and firmly believes that ultimately, all politics is local. I could not ask for a better person to grow older with here in Hoboken. I have no doubt that as our Mayor, Ravi will be a strong, smart, and compassionate leader of this city. Thank you for hearing me out and see you on the campaign trail! PS - If you have your own story to share of why you support Ravi, I'd love to hear from you! (feel free to let us know).